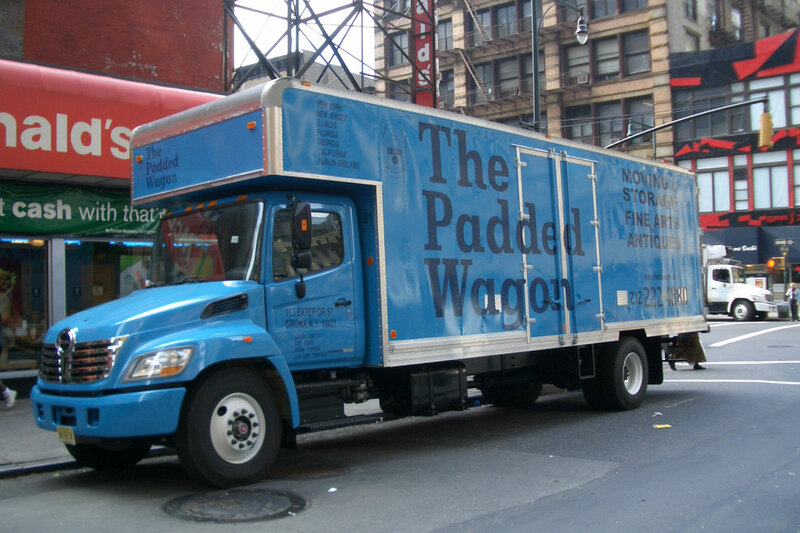 With The Padded Wagon, you get the expertise and resources of New York’s largest national moving and shipping company, with the personal service and attention of a family-owned business. From our headquarters in New York City and locations in New Jersey, Florida and California, our national moving and shipping company offers our residential and commercial customers a full array of services, including local, long distance and overseas moving and shipping, storage, packing, art installation, hoisting, moving trucks, and more. Our crews and moving truck drivers are experienced, and professional. Our moving trucks and equipment for all national moving and shipping services are top of the line. Our customers come back again and again, refer us to friends and family, and have great things to say. In business for 60+ years, our experience as a national moving company can be your peace of mind. WELL .. it's finally loaded and headed your way :) Wow ... what a chore this has been for everyone involved. Your driver Dave was absolutely wonderful to work with and so professional and really eased the tension of this move with his personality and I wanted to let you know that he is a fine representative of your company and was very thorough with walking us through the process. I work with delivery companies quite often, mostly local and the one thing I know as a customer the importance of the communication between the drivers and the customer and Dave really exemplified that with us and I thank you. THANK YOU again tor your patience and help with everything!